Traps oil before entering intake, improves fuel economy & performance, eliminates detonation from oil in the cylinder, unique three chamber design to effectively trap oil. This includes mounting bracket for an easy installation. Customers have captured 3oz. of oil from the PCV line in less than 3000 miles after install. All the Threaded Barbs and Adapter fittings we use in our Billet catch can kits are constructed using Heat Resistant Hi-Temperature Competition Series Nylon. NOTE: Only one hose clamp is included. Depending on your setup, different size barbs may be required. Does not include vehicle specific installation instructions. 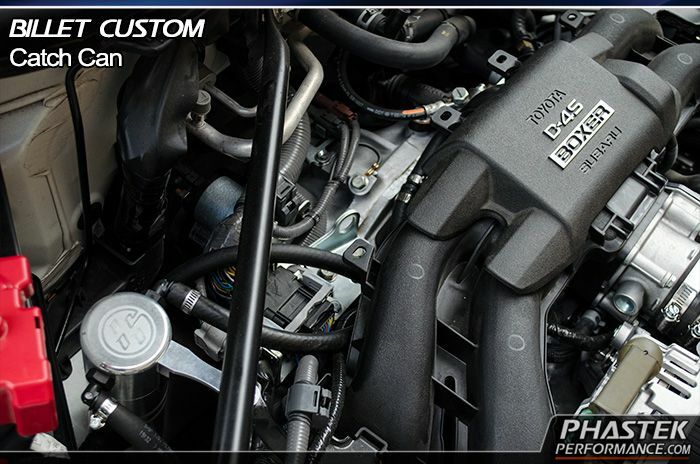 Has been installed on stock and forced induction setups for the 86. Sticker available on request. NOTE: We highly recommend using a dab of oil around the threads to eliminate the possibility of the catch can seizing. Depending on where you mount the can, You may need to use longer hoses or additional mounting parts (ie barbs). best value for the money on the market. The Billet Oil Catch Can is really well made - priced much lower than comparable catch cans. The shipping on this was delayed quite a bit, which in its self is not a big deal, but I was never given any updates. I ended up calling about the part over a week after I placed the order, and had to leave a message. I never heard back from you guys on that, buy I magically had a tracking number a few hours later. 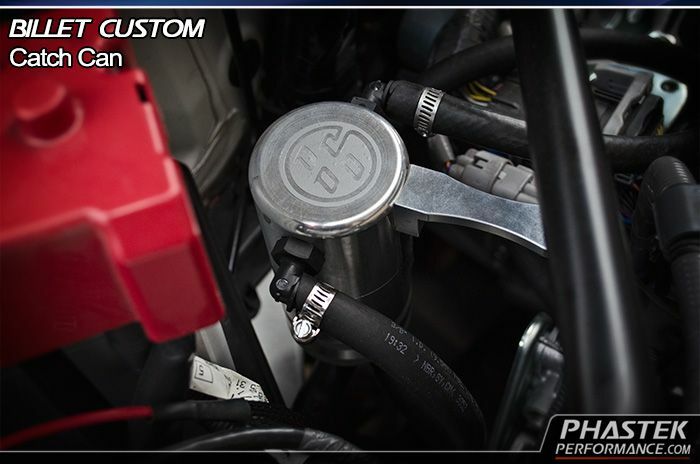 The catch can also works on the FR-S, but it is listed as a universal part with no instructions. The part comes with instructions for installation on a Camaro. I had to go back and double check that I had actually ordered the right thing. 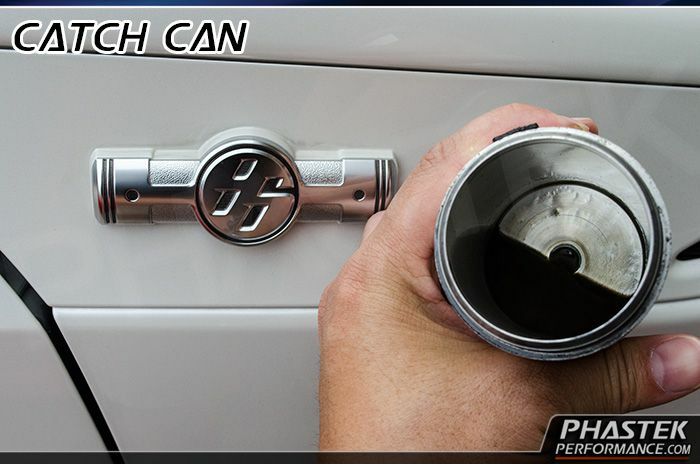 You might want to mention something to that effect "This Camaro catch can works perfectly with the FR-S/BRZ" etc. Great product quality, easy to install! This does not come with everything you need to install on the FR-S/BRZ, but I bought a few bolts and clamps to make it work.